The query letter is an author’s first arrow in their assault on the castle surrounding the Kingdom of Bestsellers. The Book Doctors are constantly shocked by how many great writers write terrible query letters. Agents and publishers are overwhelmed and inundated; if they don’t fall in love with your query letter, you’re going to get one of those horrible generic responses which, no matter how much sugar they put on it, basically tells the author to drop dead. 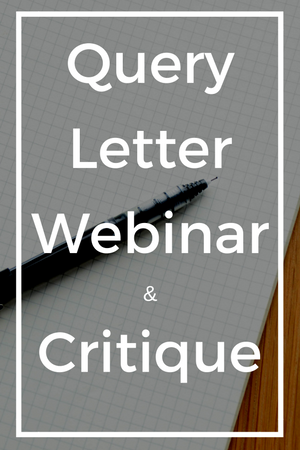 This webinar will break down everything you need to know about the query letter, and we will deconstruct and critique (in our kind and gentle way) participants’ randomly selected query letters. This webinar is FREE to view. To submit your query letter for possible critique, please send it to david@thebookdoctors.com. Include “query webinar submission” in the subject line. Update: If you have trouble viewing the webinar, check Twitter and Facebook for instructions or email our assistant at kristi@thebookdoctors.com. We’re so excited about the new edition of The Essential Guide to Getting Your Book Published! As a thank-you for your support, we’ve planned all kinds of giveaways and contests designed to help YOU get published! We’re giving away a one-hour consultation on your query letter to help you reach the right literary agent or publisher for your book. This is a $250 value. You’ll get an entry for each of the entry options. You can choose one or do all four for more chances to win. The giveaway runs from Monday, November 30, until 11:59 p.m. (EST) on December 21, 2015. On December 22, we’ll select one random winner. We’ll email the winner directly and announce the winner on social media. Be sure to take a look at the terms and conditions.